Collectible Automobile® magazine presents in-depth looks at the cars and trucks that Americans have known and loved for decades, and the people behind the vehicles. First published in early 1984, each 96-page bimonthly issue (cover dates: February, April, June, August, October, and December) is filled with articles from respected and knowledgeable authors. 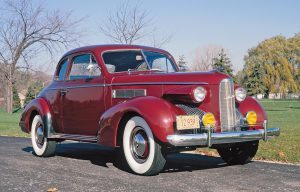 The main feature articles are accompanied by vibrant color photographs of restored or well-maintained collector vehicles taken by professional photographers, plus archival pictures from manufacturer files and personal collections. CA’s primary editorial focus has been on American automobiles of the 1930-80 period. 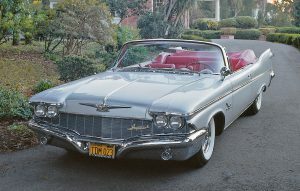 However, significant foreign cars that would be familiar to Americans have been featured, and with the advance of years, collectible cars from after 1980 have begun to appear. For a bit of fun, every issue includes columns on scale-model cars and advertising literature, plus Car Spotter photos submitted by readers who encounter old cars in their daily lives. Cheap Wheels identifies interesting, if overlooked, cars for enthusiasts on a budget, and Future Collectibles attempts to predict what modern vehicles might be worth keeping for “some day.” Value Guide checks the market value of the cars and trucks covered in each issue. Highlight-vehicle photo features, Collectible Commercial Vehicles (about trucks), and the rotating Personality Profile and Museum Pass departments are other elements of the magazine. Collectible Automobile® has attracted an international audience drawn to its informative content, high-quality presentation, and total absence of outside advertising. In addition to winning loyal and engaged readers, CA has also received many awards for writing, graphics, and overall content from the Society of Automotive Historians and the International Automotive Media Competition. The magazine is published by Morton Grove, Illinois-based Publications International, Ltd. (pilbooks.com), Louis Weber, president and CEO. CA is sold by subscription and at select bookstores and newsstands. It can be followed online at Facebook and on Twitter.